This is not the number of the hotel; it is the number of the In1 Call Centre. In1 staff will accept bookings by phone or assist you in booking online. In1 cannot supply any information beyond what is already available to you on the property page. Sophisticated and stylish, Farnham Estate embodies centuries of the very best of traditions – hospitality, welcome, natural beauty – and blends them with contemporary comfort and service, creating a destination unlike any other in Ireland. The moment guests enter the driveway at Farnham Estate, they are greeted by acres of rolling countryside and a peaceful haven that can not fail to capture the spirit of relaxation. 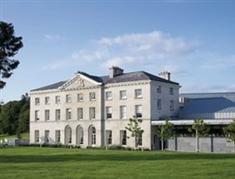 Located in the heart of this magnificent estate, just 3 km from Cavan town, is the new Radisson SAS Farnham Estate Hotel. Inside and out, this beautiful 16th Century country estate is a playground for the senses. From the sweeping drive through parkland and woodland up to the light–filled pale stone atrium and on into the deliciously appointed bedrooms with a clever layout and rich fittings, every last detail of Farnham Estate has been thought through. The hotel incorporates 158 superbly appointed guestrooms and suites, offering guests wonderful views of the surrounding countryside. Farnham Estate is located just south of the border of Northern Ireland in County Cavan, within two hours's drive from Dublin and Belfast and only 3km from Cavan town. To visit Cavan is to explore one of the most precious areas left undisturbed by commercialism and development. Often called The Lake Country, County Cavan has a profusion of lakes and rivers and as the locals say there are 365 of them, one for each day of the year. 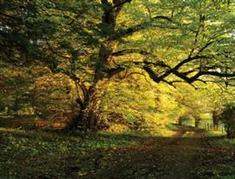 Enjoy the stunning drumlin scenery, shimmering lakes, ancient oak forests and traditional villages. As the county is in the heart of Ireland's lake–land region, it is well known as the country's premier angling location. 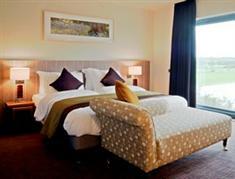 Also offered are walking trails, championship golf, horse riding and cruising on Ireland's longest inland waterway. A perfect place to enjoy the great outdoors! Wherever the road takes you in Cavan, you will experience a wonderful sense of freedom in this undiscovered part of rural Ireland. Opened in October 2006, this 40,000 sq. foot Health Spa will take mind and body into new realms of relaxation. With 19 treatment rooms, an extensive thermal suite, relaxation rooms, gymnasium, indoor–outdoor hydrotherapy infinity pool and its own restaurant – this really does feel like your own corner of Eden. The Health Spa is an adult–only facility and provides a haven of peace and relaxation for both hotel residents and day spa guests. Please note that the Health Spa and Pool Area are designed to cater for persons aged 16 years and over only. There is no children’s pool at the Estate. Unlimited use of the pool, gym, thermal suite and relaxation rooms is included in all residential rates and packages. As part of the Easy Connect Service concept, all Radisson Blu hotels offer free high–speed Internet access, throughout our facilities, to all registered hotel guests. Just bring your laptop and check emails, download music, surf the web; do it all and do it for free when you stay with us. In1Solutions © 2013-2018. All rights reserved. Ireland In1 is the ultimate travel website for Ireland accommodation, offering Weekend breaks in Dublin, Cork, Shannon and all major cities within Ireland.